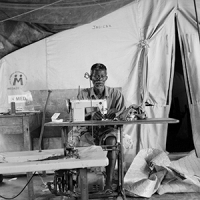 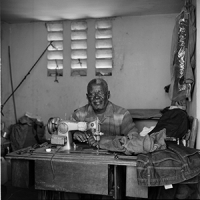 At the end of the 20th century charities and organisations from the USA began shipping second-hand clothing into Haiti flooding the country with the used garments of the dominant culture. 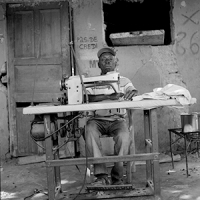 Within five to ten years this trade eliminated many of the local producers, most of whom were self-employed tailors who could provide for a family simply with their skills and a sewing machine. 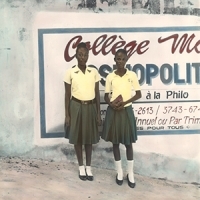 Now the only clothing still regularly produced by local tailors in Haiti are the school uniforms. 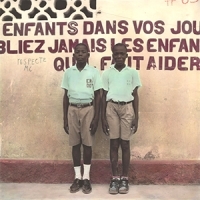 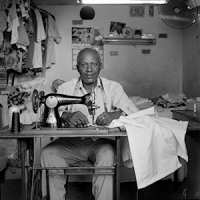 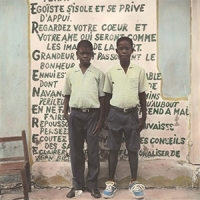 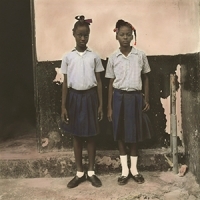 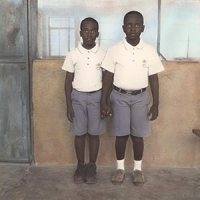 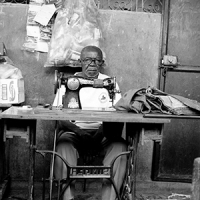 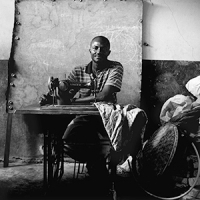 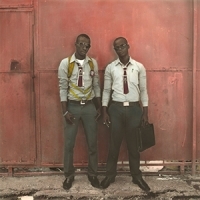 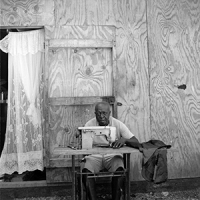 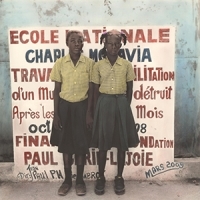 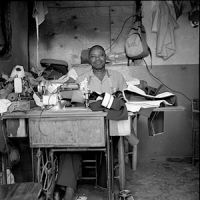 This project comprises of portraits of Haitian tailors along with photographs of pupils in their school uniforms. 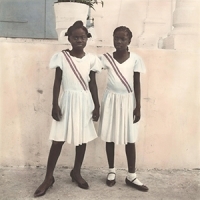 These portraits are posed and taken formally on black and white film with a medium format camera, printed by a master analogue printer, Debbie Sears, and hand-tinted by artist and long-time collaborator, Marg Duston, who painstakingly taught herself the almost lost skill. 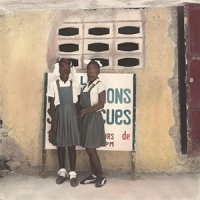 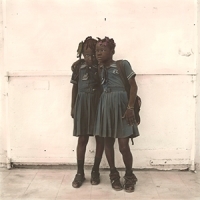 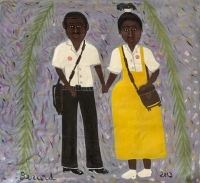 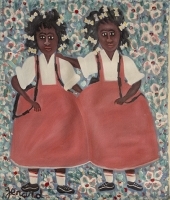 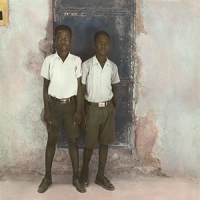 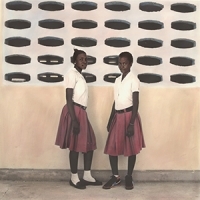 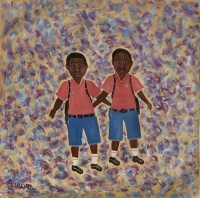 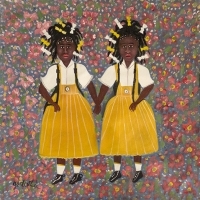 The photographic images will be shown alongside paintings of school children by traditional popular Haiti painter Gerard LaFortune, one of the last of a former Haitian artistic generation. 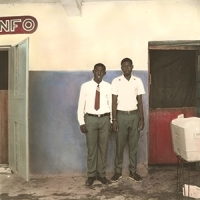 This project is an exploration of the redundancy of skills during an epoch of change and upheaval, including the liberalisation of developing economies, the ascent of digital data over analog and the effects of increasing personal technological dependencies.